The first few weeks of 2017 have been very busy at VC. Check out what we’ve been up to! 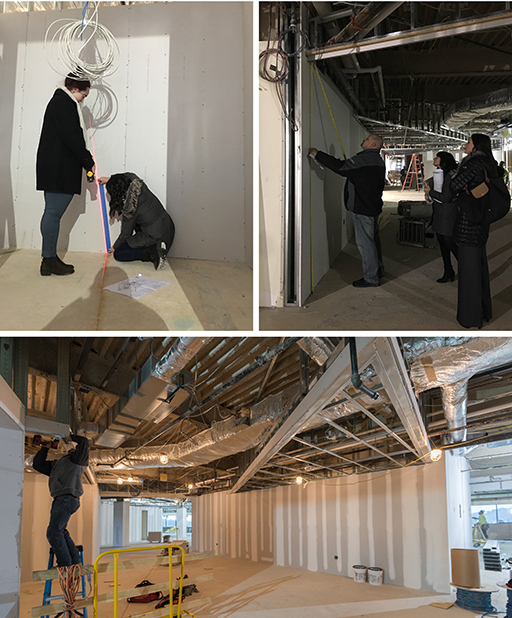 Daniela and Cora, project designers, scope the progress at our two-floor build-out for client Globoforce in Framingham. Angular designs in both the ceiling and the floor emphasize the company’s branding and celebrate its identity in three dimensions. 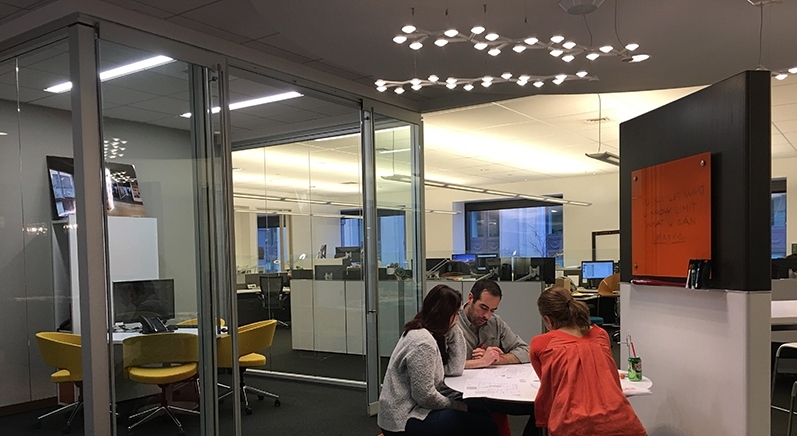 Daniela meets on-site with Ardon Visual Communications to discuss a feature wall at the project’s reception area. We are looking forward to sharing the exciting progress of this unique project in the weeks to come! 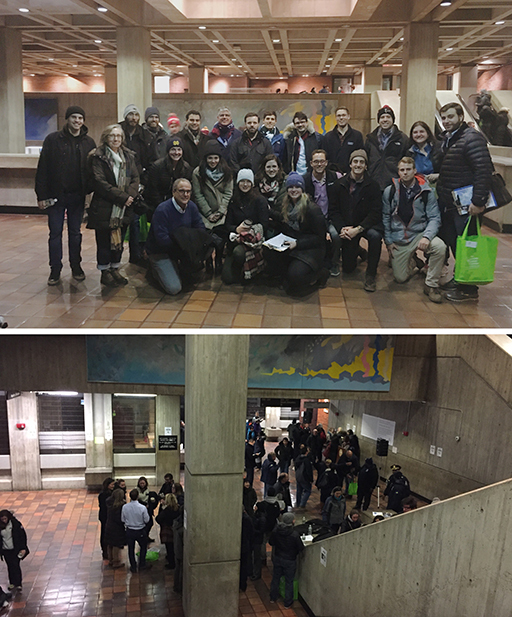 Some VCers joined the United Way along with an army of other volunteers to conduct the 37th annual homelessness census. 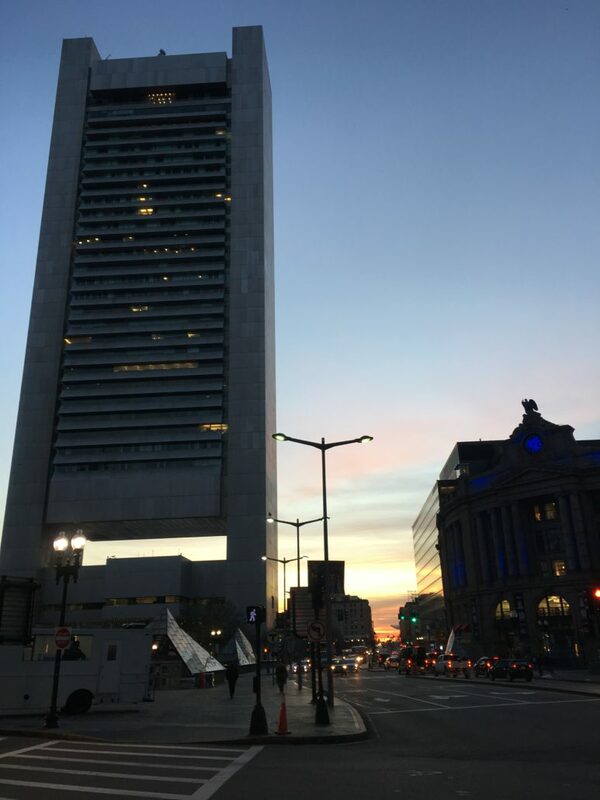 The widespread effort of this organization, led by Mayor Marty Walsh, reaches many corners of Boston’s community and seeks to understand and improve the status of the city’s homeless population. VC’s new space is deep into construction. The new glass walls are up and finishes are being installed. We can’t wait to share with you the final results! 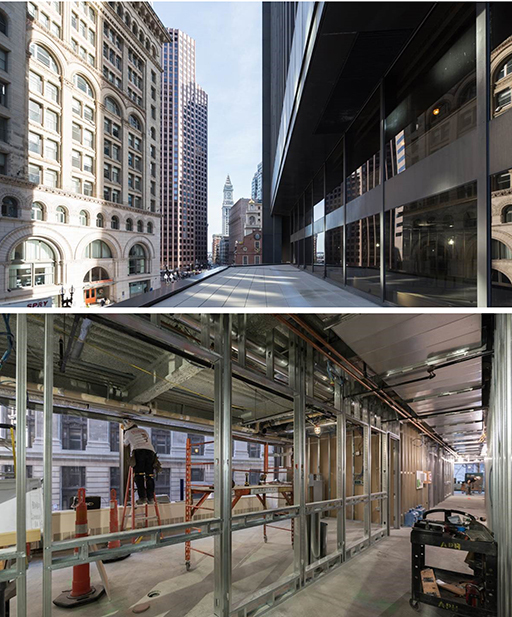 Construction is well underway at our conference center and roof deck projects at One Boston Place. 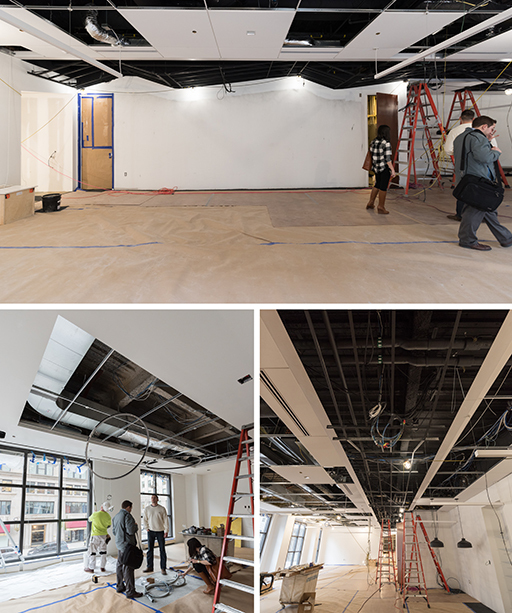 While stud walls receive their rough-in electrical and data installations, the team is hard at work coordinating trades for a smooth process. Illuminate Lighting grabbed some VCers for a fun night including food, drinks, and painting! 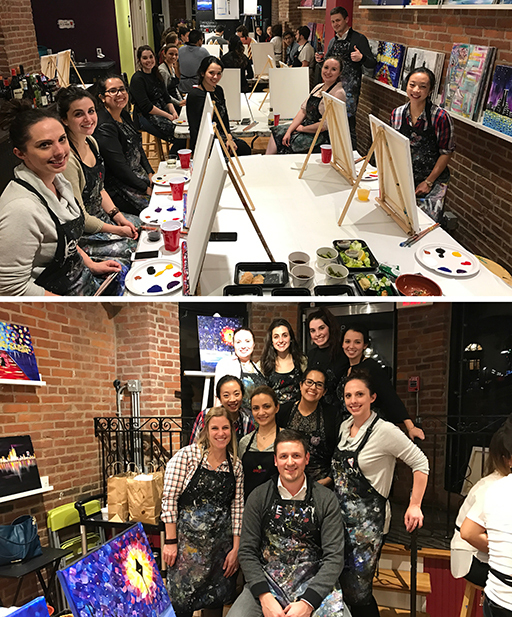 The Paint Bar, located on Newbury Street, hosted the event and our designers were able to express their creativity through other mediums. Check back with us soon for more VC news!